Flying the Hedge: Office is Finished! It looks amazing! Good job. Thank you! And yes, it took a couple of days to do, but sooooo worth it. I love the way it turned out! That accent wall is just perfect and I think you have a great way of displaying all your loved things. Great job! Why thank you! The accent wall is a mix of both me and my husband. 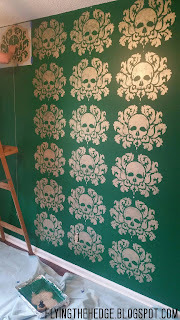 We both love green, but I wanted formal damask and he wanted skulls. 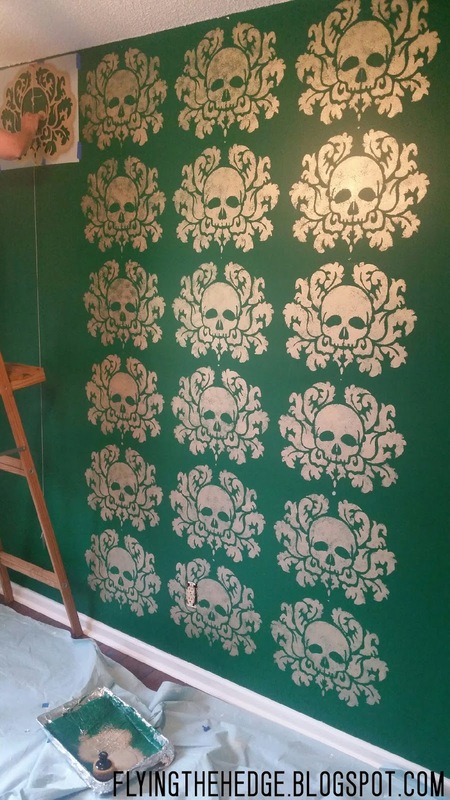 The skull damask was a perfect, elegant compromise. I'm glad you like it! Thanks for reading. WOW! Amazing job! We did a similar set up in our previous apartment. We ended up using "bottom" kitchen cabinets for our bases but had them set up the same, with "his and hers" desk areas. 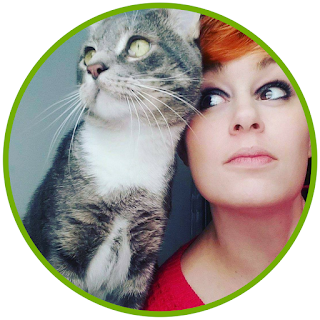 When we moved, we ended up using it out in the garage for a workspace for my hubs. Stenciling is a lot of work but the final image is super amazing. Great job! I love that it is skulls tee hee. I bet you love having a place to work from. Wayfair is a great place for rugs and such online. I'm sure you'll find some great pieces to add to such a great room! I'll have to look at Wayfair. I haven't looked at what they have in a looooong time. I'm just so damn picky. It takes me forever to decorate sometimes. We only have 1 rug in the house and with all hardwoods, we really need more. I just haven't found any I love. And yes, I need an altar space. I'm pretty sure I want to set one up in my bedroom and another in the yard (next summer probably). I have to redo my closet first and move my dresser into it before I do though. Where my dresser is is where I think I want to set up my altar. That way it is private yet accessible. My husband sleeps else where most night so the most private space in the house is definitely the master bedroom. I'm glad you like the skulls. Took a long time, but very much worth it.